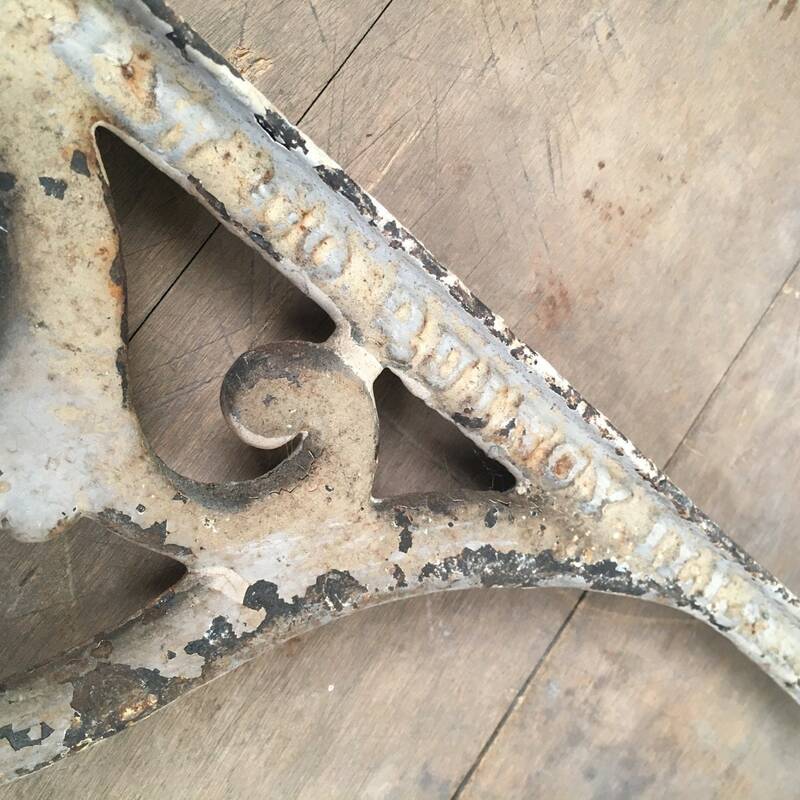 This pair of antique cast iron shelf brackets are huge! This 15" x 15" size should be able to hold a pretty deep shelf board, probably 18" or more. They have a coat of very old paint on them and decades of patina. 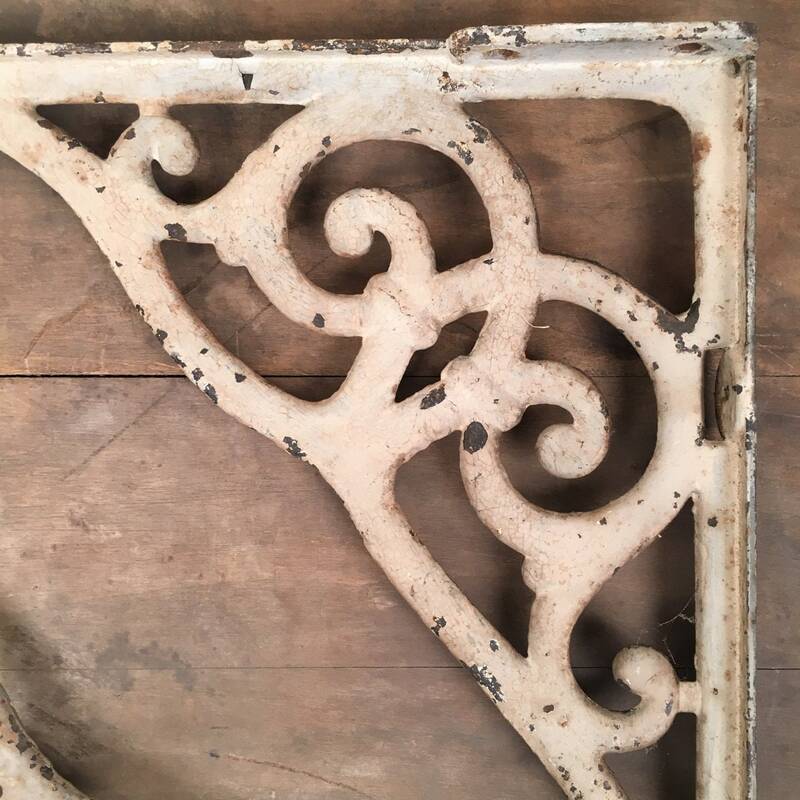 Use them as they are, strip them to bare metal, or paint them to match your home. 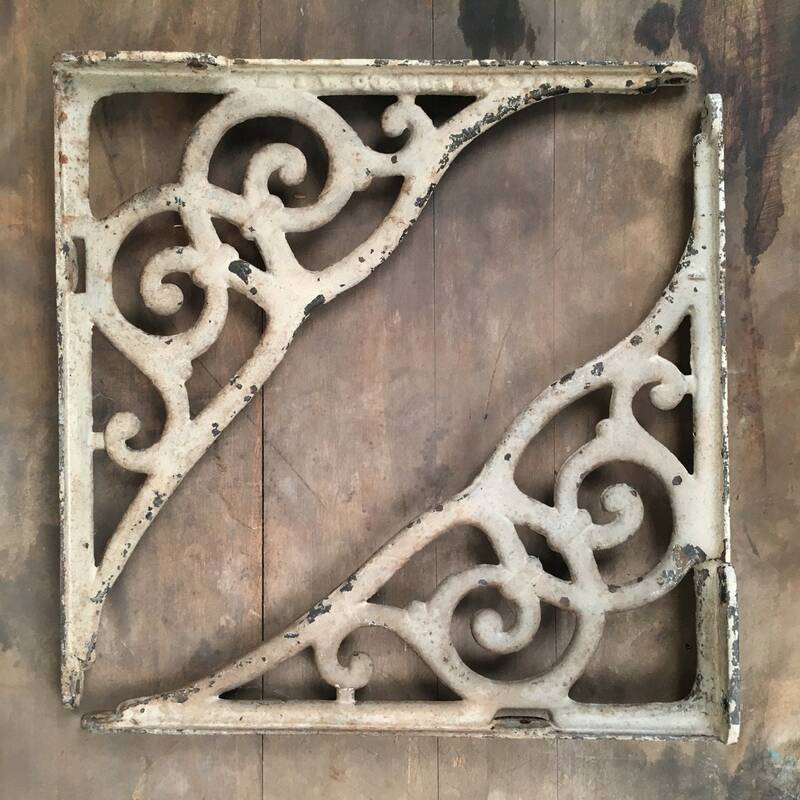 Another really great thing about these cast iron shelf brackets is that they are actually antiques unlike so many of the new reproductions I'm seeing listed on Etsy and eBay which claim to be antique or vintage. 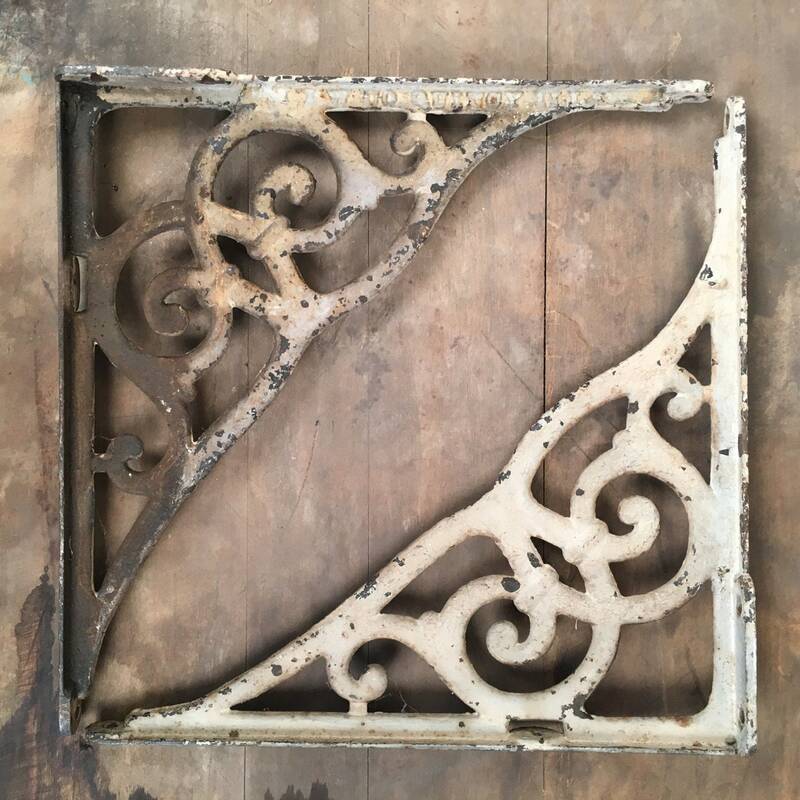 If you want actual antiques and not new repros, these are the brackets for you! As mentioned, they are 15" x 15" and around 1" thick. 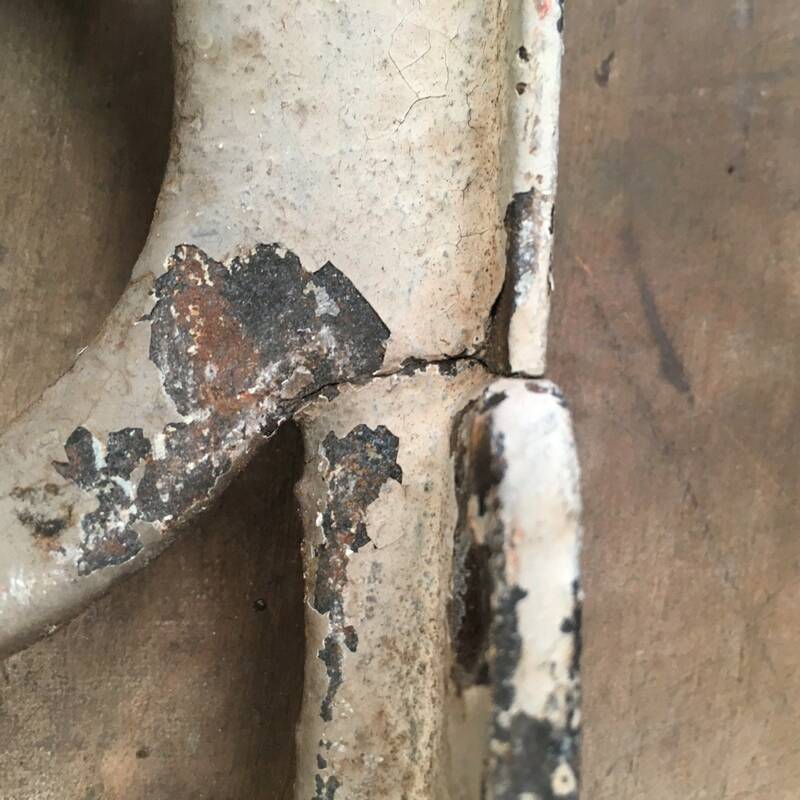 One bracket has a small crack as seen in the photo but I don't think it will effect the integrity unless you had something extremely heavy on it. I did a quick test on it and was not able to get the crack to budge, so I think it is pretty sturdy.